On September 13, 1959, the Soviet Union landed the first human-made object on the surface of the Moon. The United States landed the first human on July 20, 1969. Now, there is a race to land the first robot on the moon. Google is offering $30 Million to the winner of the Lunar XPrize, which is an unprecedented competition to challenge and inspire engineers, entrepreneurs and innovators from around the world to develop low-cost methods of robotic space exploration. 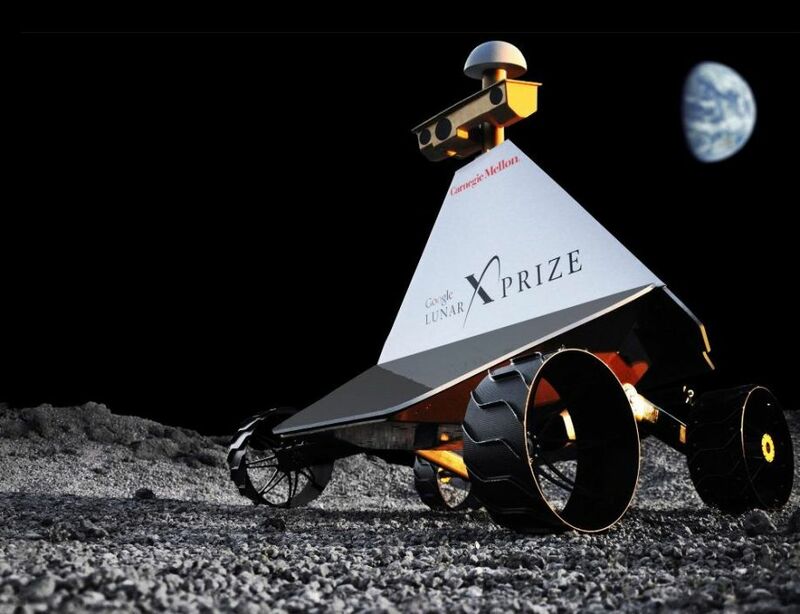 To win the XPrize, a privately funded team must be the first to successfully place a robot on the moon’s surface; it must travel 547 yards; and it must transmit high-definition video and images back to Earth. The first team that successfully completes this mission will be awarded a grand prize of $20 million. The second team to successfully complete the mission will be awarded $5 million. There are another $5 Million in other prizes. The winning teams must prove that 90% of their mission costs were privately funded. The teams must launch by the end of this year, but not necessarily complete the mission by year end. The challenge is a difficult one, as only three countries have made soft landings on the moon—the U.S., Russia, and China. Five teams have been officially confirmed to participate. These are SpaceIL (Israel), Moon Express (US), Synergy Moon (International), TeamIndus (India), and HAKUTO (Japan). 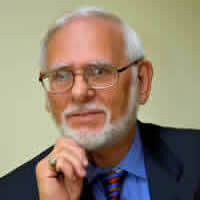 SpaceIL is from Israel and was the first to book its ticket to the moon. SpaceIL's craft will launch with Spaceflight Industries, which recently purchased a SpaceX Falcon 9 rocket. Instead of rolling like a rover, this spacecraft will hop using retro-thrusters to move the 547 yards across the lunar surface. SpaceFlight acts as a kind of middleman, buying launchers from SpaceX and aggregating a bunch of smaller payloads together. In the case of SpaceIL, their craft will be launched with several satellites headed for low earth orbit. The spacecraft itself will go into high elliptical orbit and from there to the moon. SpaceFlight buys the rocket and integrates a stack of payloads deployed in a pre-determined order. Aside from landing on the Moon, SpaceIL’s vision is to create a new “Apollo Effect” to inspire the next generation in Israel and around the world to think in a different way about science, technology, engineering, and math (STEM). SpaceIL is committed to using the potential prize money to promote science and scientific education in Israel, to ensure that Israel will continue to live up to its reputation for excellence in these fields. Up until now all commercial companies have been limited to operations in Earth’s orbit. The U.S. Government has made a historic ruling to allow the first private enterprise, Moon Express, Inc. (MoonEx), permission to travel beyond Earth’s orbit and land on the Moon in 2017. Only governments have sent missions to other worlds. Moon Express announced it would be taking over Cape Canaveral Launch Complexes 17 and 18 as its new permanent home. MoonEx is planning to place the International Lunar Observatory (ILO) on the Moon as early as 2018. The plan calls for placement of both a radio telescope as well as an optical telescope at the South Pole of the Moon. 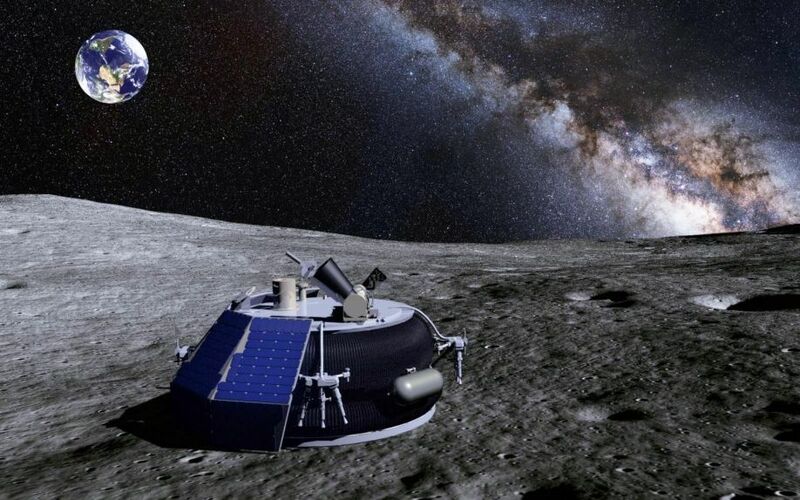 Moon Express will participate in the Google Lunar XPRIZE as well, but it’s web site does not have much information on their entry in the competition. Moon Express plans to launch with Rocket Lab, a startup in New Zealand. A video posted by the Los Angeles and New Zealand-based Rocket Lab shows the company's new Rutherford engine discharging flames and smoke, during a test. The burn lasts for a full 2 minutes and 40 seconds, completing an important flight qualification test. The Rutherford engine is small and will not pack as much punch as its competitors, but Rocket Lab thinks it will be able to launch small satellites into orbit at a low cost. the Rutherford is made primarily out of 3D printed parts. It distinctively uses battery-powered electric motors to power the pumps that deliver propellant to the rocket's combustion chamber. Without the liability of older model engines, they were able to make the most of today’s most advanced technologies in ways not attempted before. Composed of innovators from 15 different countries, Synergy Moon plans to send a lander and one or more rovers to the moon. They're planning to hitch a ride on a Neptune rocket from Interorbital Systems. Interorbital has flown smaller rockets before, but a successful flight to the moon would put them in a whole new ballpark. The Google Lunar X PRIZE competition marks a beginning for Synergy Moon—a young company of adventurers, social entrepreneurs, artists and space enthusiasts whose coming together aims to not only land their Tesla Prospector & Tesla Surveyor on the lunar surface by 2017, but also to inspire and invigorate their relationship toward space travel and the Moon. Team Synergy Moon plans to use an Interorbital Systems Neptune N-8 LUNA launch vehicle to deploy its Tesla Surveyor rover on the surface of the Moon during the second half of 2017. The launch is planned from an open-ocean location off the California coast. Interorbital Systems aims to launch payloads into orbit exclusively from the sea using the NEPTUNE series of launch vehicles. The NEPTUNE system is Interorbital System's flagship line of launch vehicles built from varying configurations of the Common Propulsion Module. The TeamIndus' lander will launch on a rocket from the Indian space agency in late 2017, then deploy a 11-pound, solar-powered rover. TeamIndus is the only Indian team competing for the Google Lunar XPRIZE. TeamIndus plans to launch using PSLV (Polar Satellite Launch Vehicle) operated by ISRO (Indian Space Research Organization) from its Sriharikota spaceport in Andhra Pradesh. PSLV is an expendable launch system. It was developed to allow India to launch its Indian Remote Sensing (IRS) satellites into Sun-Synchronous orbits, a service that was, until the advent of the PSLV, commercially available only from Russia. PSLV can also launch small size satellites into geostationary orbit (GTO). The PSLV will inject the spacecraft into an orbit 547 miles x 43,946 miles around the earth. The spacecraft will then undertake a 21-day journey to soft land in Mare Imbrium, a region in the North-Western hemisphere of the Moon. TeamIndus has won one Milestone Prize—the Landing Prize, for a total of $1 million. 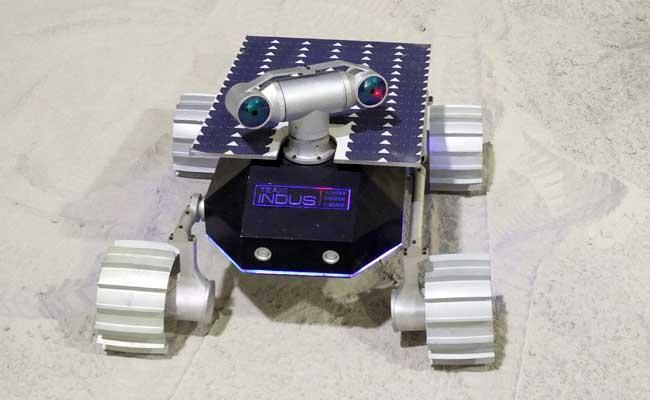 The Hakuto sleek little rover will hitch a ride to the moon on TeamIndus's lander. The rover has a carbon fiber body that can withstand the extreme temperature changes of the lunar surface (more than 212 degrees Fahrenheit at noon, below -238 degrees Fahrenheit at night). It will also be able to take 360-degree images. The moon rover is equipped with four cameras in order to see 360 degrees. It also features an infrared camera to aid it in avoiding obstacles which will end the mission prematurely. With these systems, the Hakuto rover will be able to send high resolution images back to base on our planet. An additional mission for the team is for it to explore caves or skylight holes for the first time in history. thought to be underlying lava tubes, this collected data will provide important data into the volcanic history of the moon. Hakuto received the $500K Milestone Prize for Mobility. This proves that Hakuto’s rover is able to perform its mission in outer space. 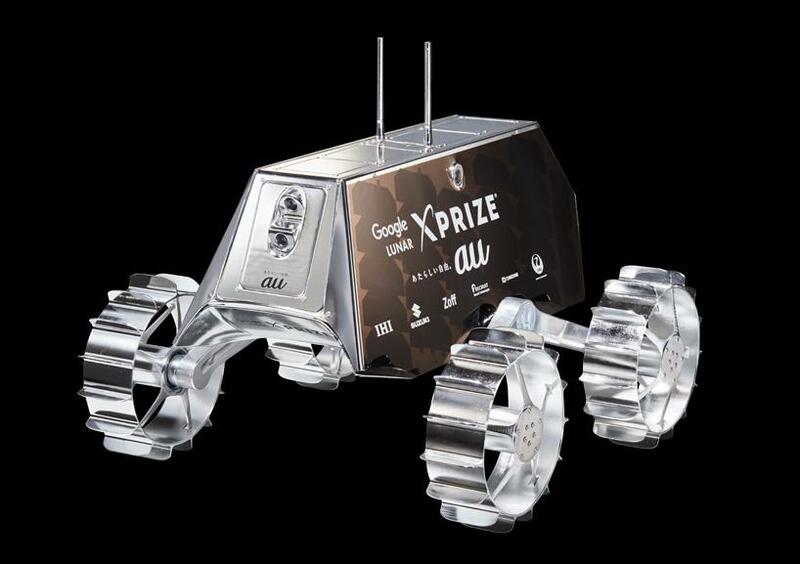 Winning this $500,000 prize has allowed them to speed up development of the rover. You can head over to YouTube and watch Moon Shot, the new, free, 9-part documentary series that profiles participants in the Google Lunar Xprize competition. The documentary comes from the combined forces of Google, the XPrize Foundation, and the production company, Bad Robot. Have you placed your bet yet? The race is about to start.